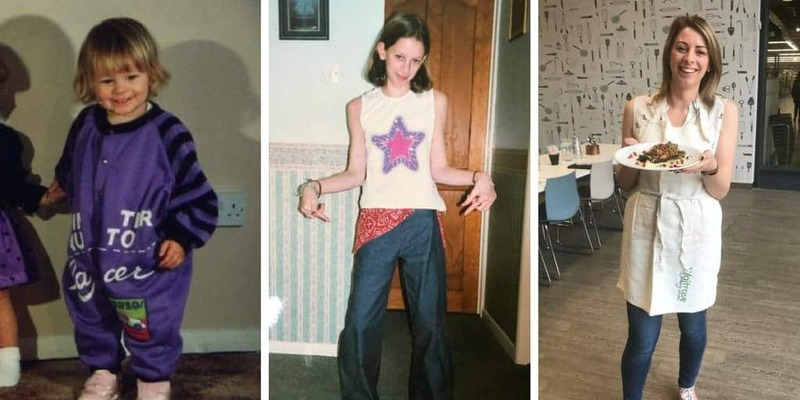 I wish SQ Bar and Restaurant had been in Braunton, North Devon, when I lived there. Actually, saying that, it’s probably a good thing it wasn’t, because I would definitely be well-fed but out of pocket. This place does such yummy food, I think I’d have been in there all the time – and don’t even get me started on their incredible mojitos I spent an evening sat drinking in the sun on their roof terrace. Heaven. Anyway, I digress, because owner Olly was kind enough to invite Steve and I to test out the new gluten free menu at SQ, and naturally we jumped at the chance. SQ has a new chef who has come over from the Michelin starred Masons Arms, so I already knew the food was going to be better than ever. And it really was. So much of the food on SQ’s menu is gluten free. 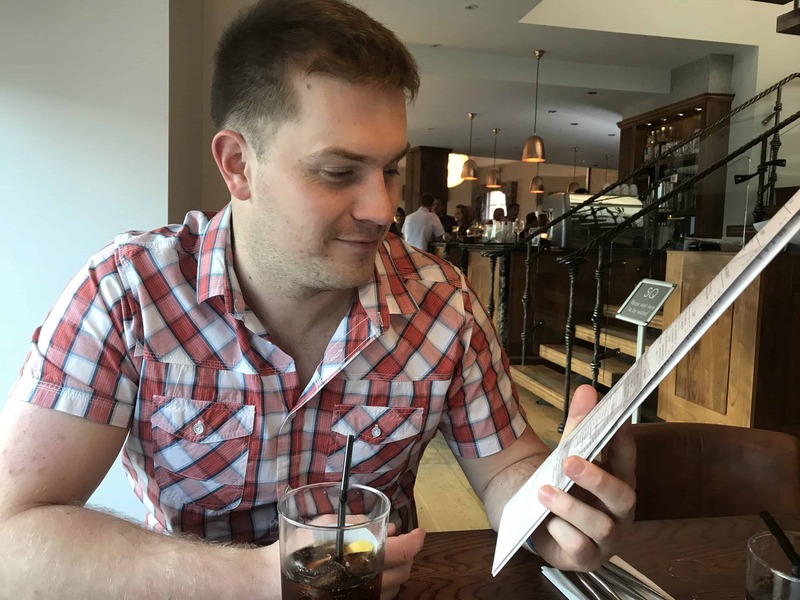 They have a full allergens menu on request, so no matter what your allergy or intolerance, it’s easy to see what you can and cannot eat. The menu is varied, from locally-caught seafood to classic steaks and the best ribs in town. They also have a great variety of seasonal specials, so every time you go you can try something new. For our starters, Steve and I opted to share the mussels – locally caught, in a garlic, cream and white wine sauce – and the chorizo and squid special. 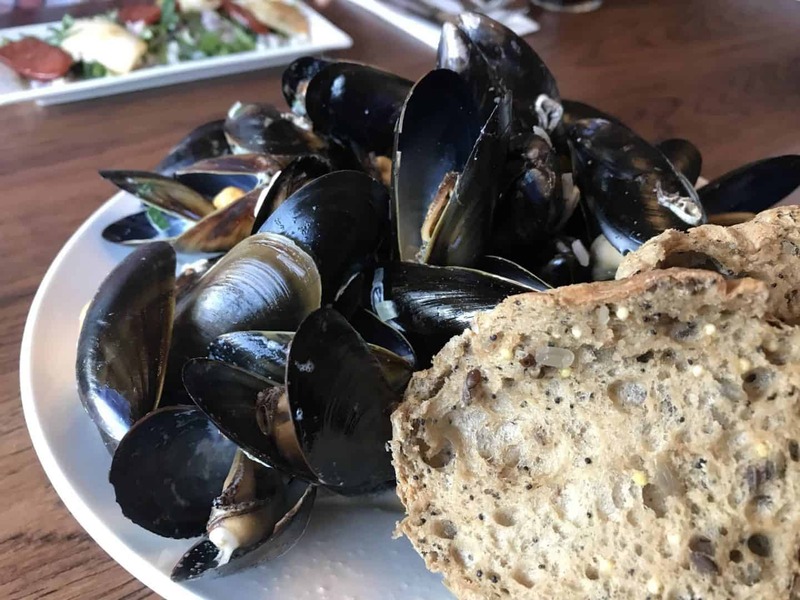 The bowl of mussels was enormous, and they were big, fat and juicy – I think it’s been a good season! The sauce was amazing and I just wanted to tip the bowl up and drink it (apparently, that’s not good table manners) so instead I happily mopped it up with my gluten free bread. 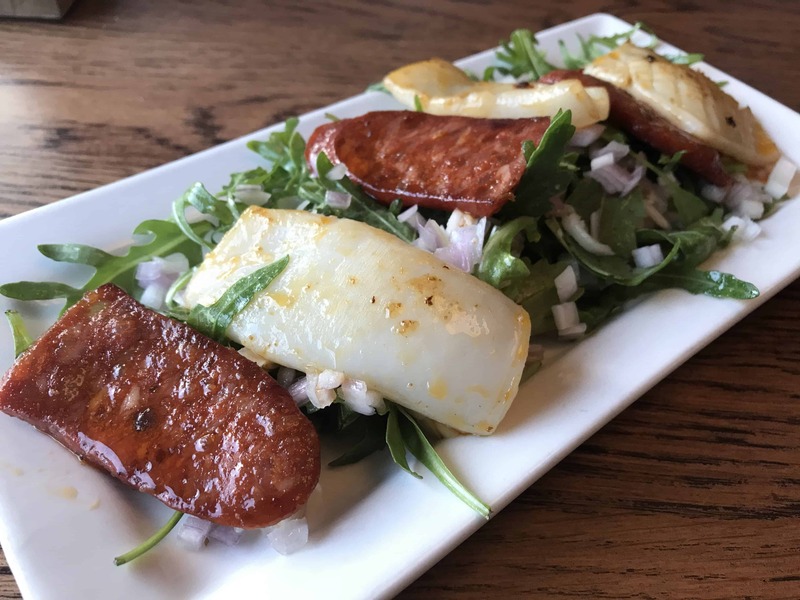 The squid and chorizo was also delicious – I think this might be one of my favourite combinations ever. The starter sizes were pretty generous (not that I am complaining) so although we were excited about our main courses, we certainly weren’t starving! 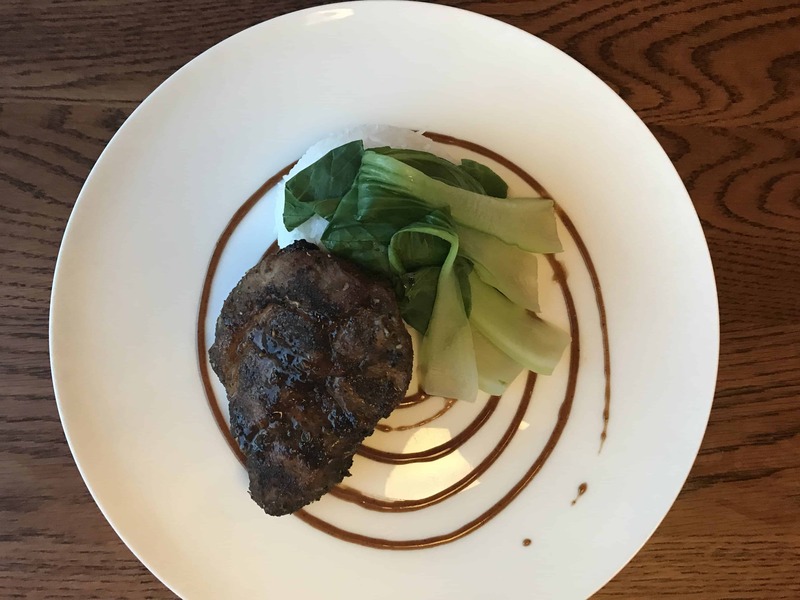 For the mains, Steve has a pork dish from the special, cooked in a kind of Chinese-style, barbecue sauce. It smelt absolutely divine and I don’t think I’ve ever seen him gulp down a meal with such vigour – it barely touched the sides! My main dish was absolutely AMAZING. 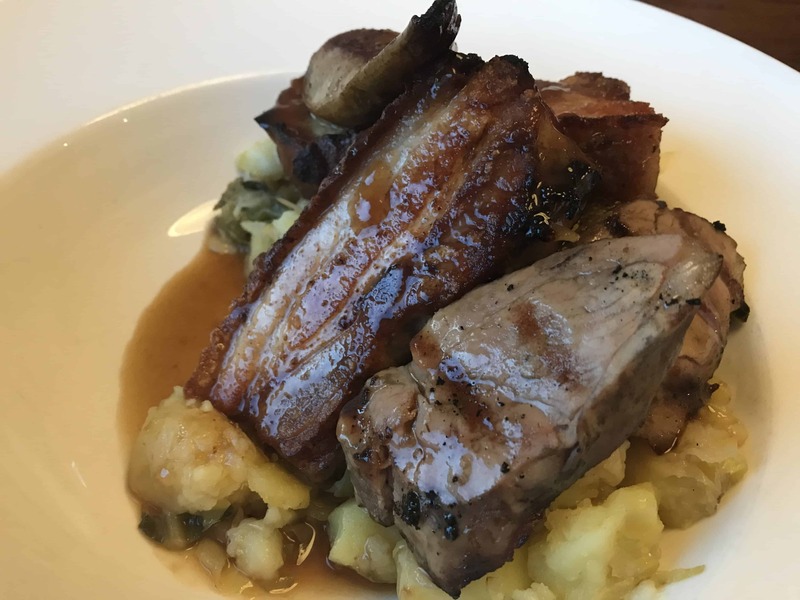 I opted for Pork Two Ways, which was: crispy belly pork and slow roasted and chargrilled pork medallion, served with bubble and squeak potatoes, roasting juices, and caramelised pear. Seriously, I need to eat this again already. Just writing it is making me salivate! This dish was amazing – the belly pork just melted in your mouth and the medallions were so tender. The bubble and squeak potatoes had amazing, gooey melted cheese nestled within them, and the roasting juices were like this incredible, flavoursome gravy. The caramelised pear was perfect with the pork and the whole dish just worked so well. I mean, seriously, just look at it. It was amazing! I know I keep saying that word, but man, it really was so good. The portion sizes were huge though – I think trying to drink so much of the sauce from the mussels was an error because I couldn’t finish my main. I did eat until I thought I’d pop, and then tried to figure out if I could fit the rest in my handbag, but in the end I had to admit defeat. I cannot recommend SQ enough for delicious food and catering so well for people who need a gluten free diet. There is so much choice, the staff are amazing and it’s got such a lovely vibe. It’s a great place to sit and watch the world go by as well – I grew up in Braunton and I love visiting in the summer and watching the throng of tourists exploring. 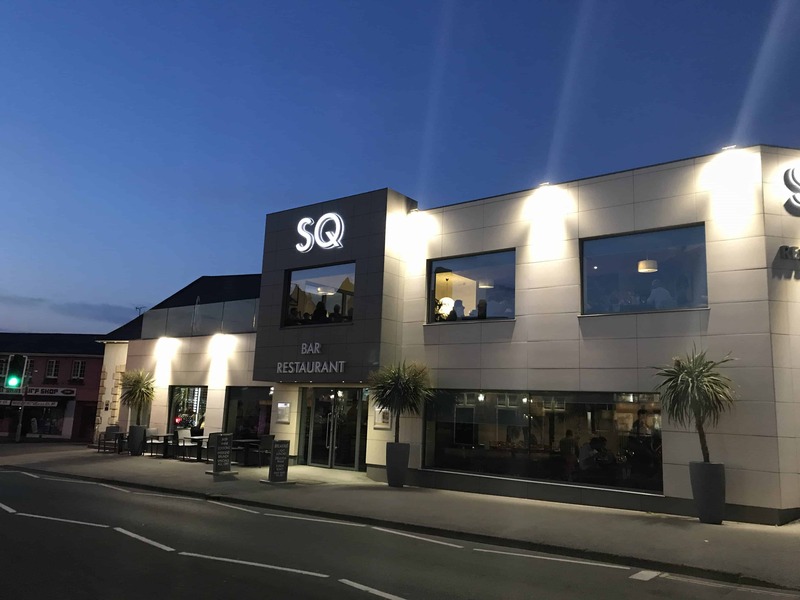 If you’re ever in North Devon, make sure you book a table at SQ because you won’t be disappointed! Thank you to SQ Bar and Restaurant for an amazing gluten free meal. You can view their menu here. 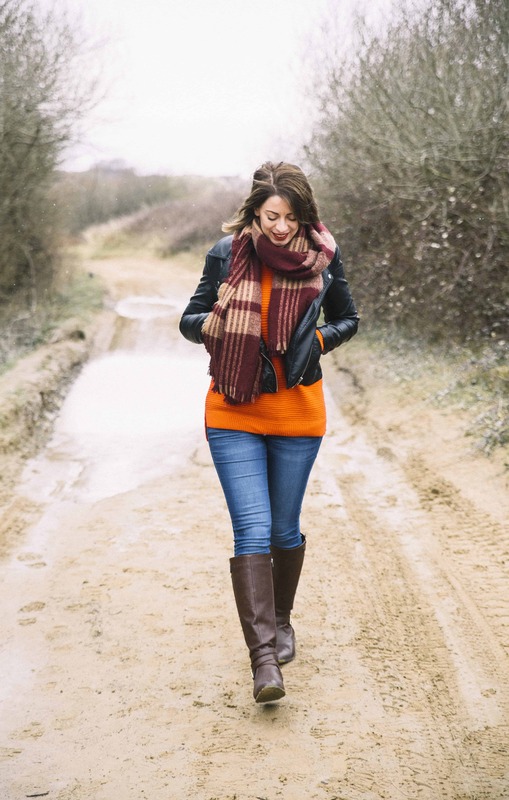 To follow all my gluten free adventures, make sure you come say hello on my Facebook Twitter and Instagram pages! This meal was provided free of charge but all opinions are always my own. Oh wow Sarah the food looks divine! Wee bit far for us but defo good to know when were in that neck of the woods….gosh I’m hungry now!!! Oh this looked delicious! I need to visit!